A new teaser trailer for The Double has been sent TVO’s way, and we just had to share it with you all. 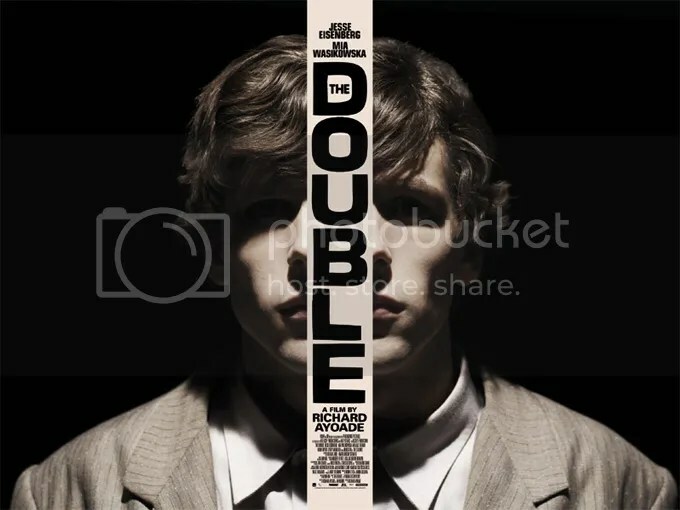 The second film from Richard Ayoade, The Double is an idiosyncratic adaptation of Dostoyevsky’s celebrated novella, starring Jesse Eisenberg, Mia Wasikowska, Wallace Shawn and James Fox. Past collaborators of Ayoade also make appearances, with Submarine‘s Craig Roberts, Yasmin Paige, Paddy Considine, Noah Taylor and Sally Hawkins joining IT Crowd veterans Chris O’Dowd and Chris Morris in the larger ensemble. Telling the tale of a timid man, Simon, whose forlorn existence is shaken by the arrival of his exact physical double whose confidence and charisma see him slowly taking over Simon’s life, the film has wowed critics at festivals and is set to stun audiences upon release on April 4th. You can view the stunning new trailer below.